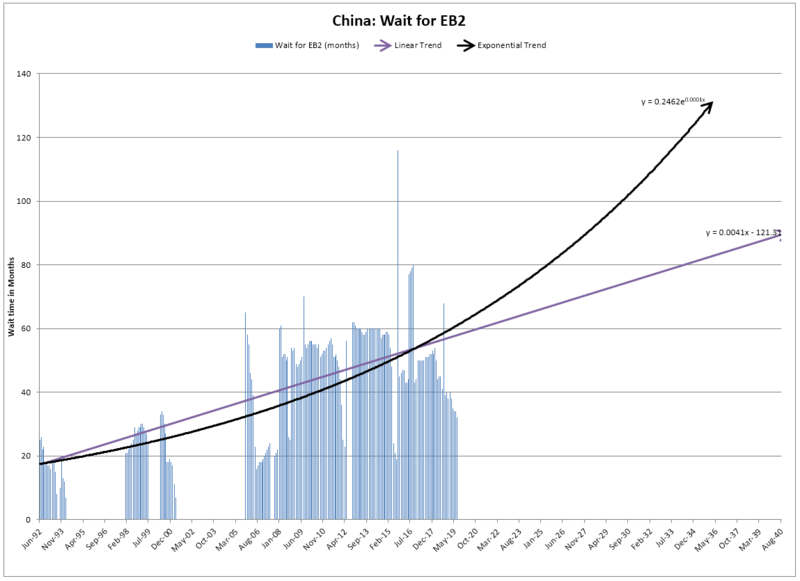 For example, the waiting time for China EB-2 on February 2010 was 56 months. So that means that if you had applied for the EB2 in June 2005 or earlier, your application would have been processed by February 2010. The chart shows two trend lines: linear projection and an exponential projection. The trend lines can be used to estimate the waiting time for recent applicants or for those yet to apply. 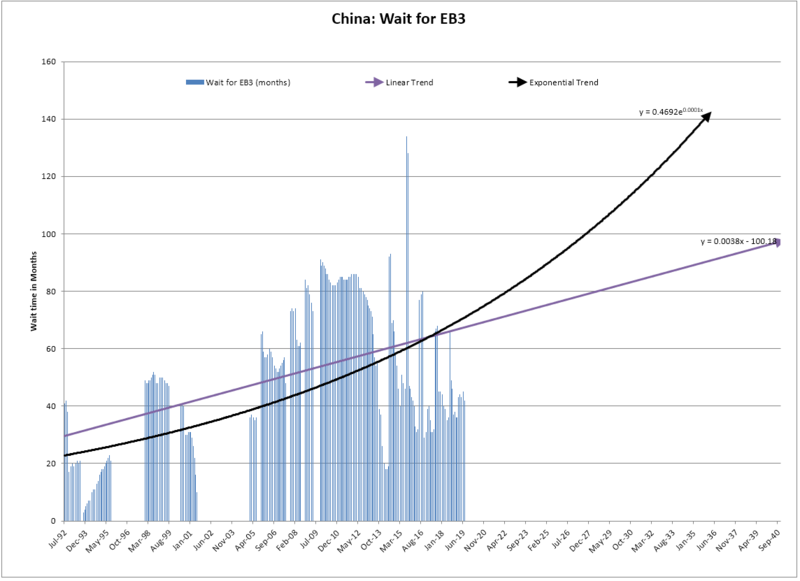 For example, based on linear trend projection if you were to apply for EB3 in January 2017 your application will be processed approximately by June 2024 (a waiting time of approximately 91 months). EB-1 calculation is not included because in recent years there was no waiting time for this visa preference. If you have any questions please write to webmaster@ilw.com. The above projections are based on publically available information as well as specific assumptions. ILW.COM does not guarantee the accuracy or completeness the estimates provided, nor assumes any responsibility for their use.